Geni Bennetts, MD, is a physician who has over 30 years of experience in the field of health care administration and consulting. 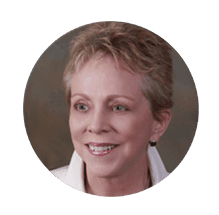 She has been an expert in numerous healthcare legal issues for over 20 years, in the past 5 years in the areas of quality, utilization, compliance, risk management and administration. Dr. Bennetts has expertise in Medicare/Medicaid and private healthcare plans. She is a surveyor for the State of California in areas involving Health and Safety Codes and Knox-Keene. She also has considerable interim CMO experience. Her analyses are based on compliance in the areas of Joint Commission, CMS and State requirements. Her graduate education was completed at Andrews University in Berrien Springs, Michigan and Loma Linda University School of Medicine, Loma Linda, California. Geni has a California medical license.